It’s been about a month since I’ve posted, and I’m happy to say, I’m back! With the holiday busyness, a surprising surge of clients, a nasty virus and some minor surgery, it feels like my life got hijacked. 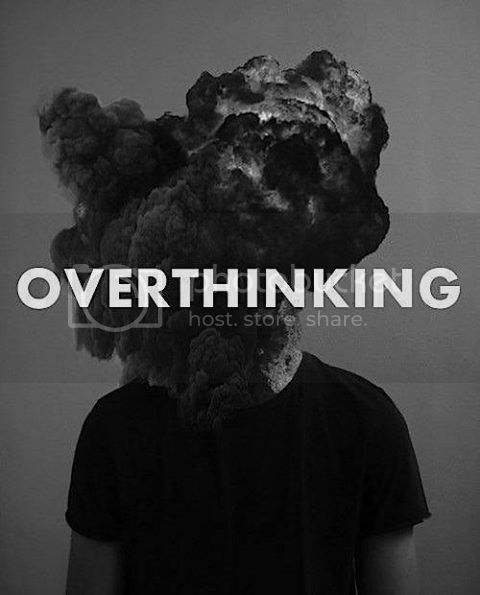 But, there was also another culprit responsible for my absence: overthinking! I’m somewhat of a perfectionist to begin with, so my mind tends to over-review details in an effort to get things right, or just so. What prompted this post however, were two situations in particular: learning Quickbooks to enter details about my business expenses for my accountant, and a return to skiing for the first time this season. Then I went skiing again for the first time this season on my new “shaped” skis, and found myself reviewing all the instructions about proper form and perfectly executed turns I’d learned from lessons in the past. It took me about five runs before it occurred to me to just have some fun and let muscle memory set in. The ensuing runs were exuberant, and nobody got killed! 1. Just do it! Take action, be willing to make “mistakes,” and be in the moment of the experience, so you get out of your head. If you’re overthinking your motivation, then make your motivation the “caboose,” not the “locomotive.” You can think about your motivation on the tail end after you’ve taken action – i.e., as with exercise. 2. Distract an overactive mind by directing your attention elsewhere – focus on the desired end result you imagine, like with skiing, do some mental rehearsal, envisioning yourself flying down the mountain with joy, rather than obsessing on the details of each turn. 3. Practice regular meditation, daily exercise, and when all else fails, get some medication to calm down your obsessional thinking. So, for all of us over thinkers the task is also to accept that life is filled with uncertainty, to trust that uncertainties usually won’t kill us, and to relinquish our illusions of control. It’s an Eastern thing….